Gradwell in the yard with George and Tom. She was built by the Sentinel Waggon Co., works (No. 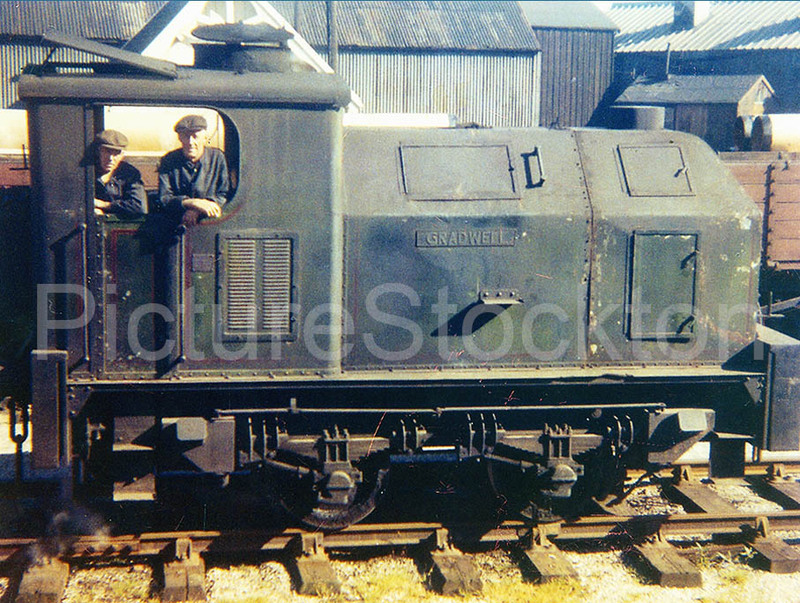 9377) in 1947 for Bolton Gas Works, who sold her in the early 1950s to Whittingham Asylum Railway in Lancashire, where she worked passenger trains. They sold her in 1958 to the Tyne Tees Shipping Co., where she worked until 1965. Photograph and details courtesy of John.